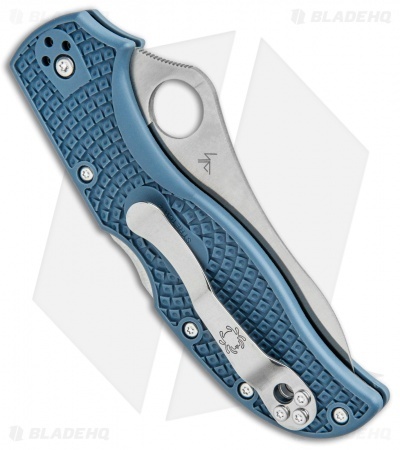 This Stretch 2 sprint run model features a laminated full-flat grind blade made with a V-Toku2 tool steel core, sandwiched between layers of SUS310 stainless steel. V-Toku2 tool steel is alloyed with tungsten, vanadium, and chromium for maximized high hardness toughness. 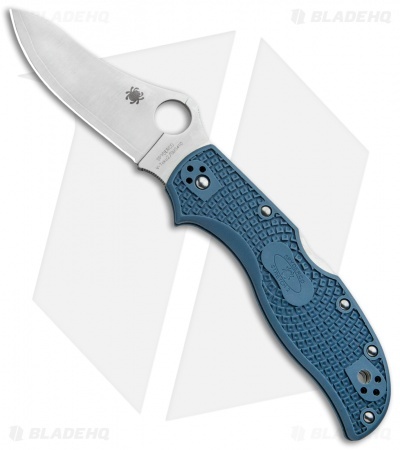 The Spyderco Stretch 2 delivers a lightweight hunting folder, with full skeletonized stainless steel liners, a stainless steel back spacer, textured FRN scales, and a tube lanyard hole. It has a V-Toku2/SUS310 steel blade, a stout back lock mechanism with a Boye Dent, and a versatile four-position hourglass clip. The Spyderco Stretch started as a pet-project lockback knife design. 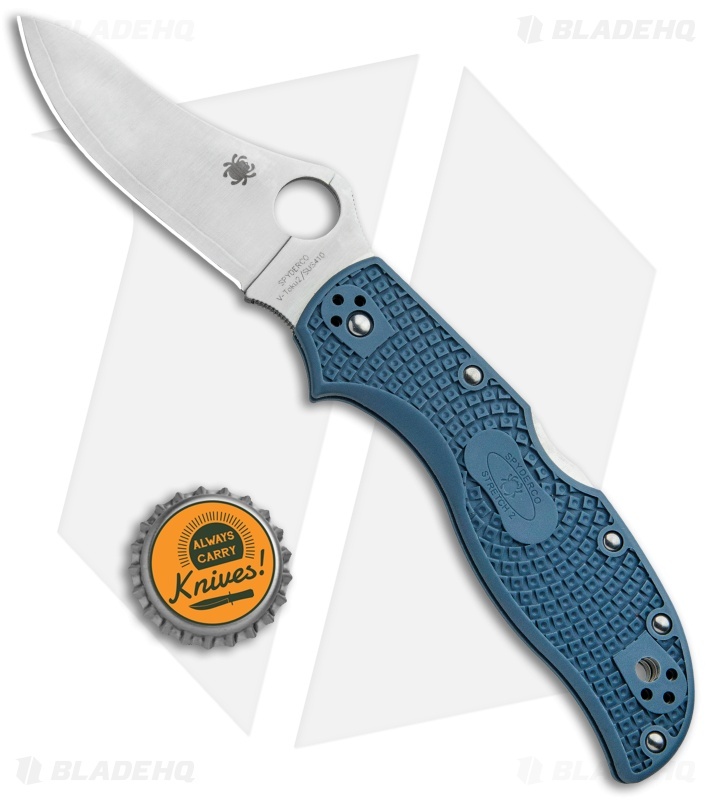 Spyderco’s owner and chief designer Sal Glesser made it for his personal use, incorporating features he wanted. He wanted high performance blade steel with edge retention super-powers for outdoor cutting: things like wood, rope and anything encountered in the wild. It had to work equally well indoors on cardboard, mail and fingernails. He sized it so it wouldn’t scare non–knife people and made it look slick on the off chance he’d someday have to wear a suit. 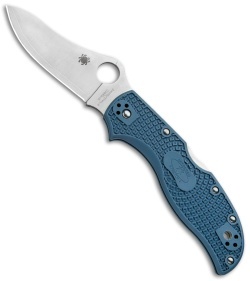 One of my favorite spyderco blades. The vtoku2 steel is very tough! Love the blue FRN scales. All in all a great knife! Razor sharp out the box! To start off will say description needs updating this is vtoku 2 with sus410 cladding not sus310 like the description says. 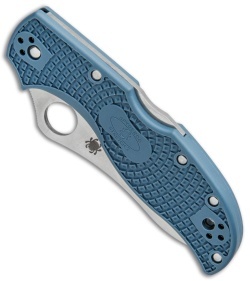 knife came paper sharp but not the sharpest I've had from spyderco out of box. The clad line on the blade is nice slightly uneven on between the sides of blade but that's common on these no big deal. Clip and retention are good to go, as well as blade centering which is perfect. Came with no blade play and plenty of oil in pivot. Clip is four way positionable. Nice size lanyard hole. Lock back mechanism is easy to use and doesn't require alot of pressure like a buck 110. Ergos are great feels good in normal grip and reverse grip. Also has nice finger choil and plenty of jimping for solid purchase in hand. Handle is frn but doesn't feel like cheap plastic.